West Bengal can be a pilgrimage for food lovers. Gastronomy has traditionally been a major influence on the Bengali lifestyle and a lot of emphasis is accorded to its presence in every aspect of the society. It is fondly said that a Bengali lives to eat! One can enjoy traditional local food along with a variety of other cuisines which have influenced Bengali taste buds over the years. The traditional food of Bengal is the only cuisine of the entire India which is similar to the French ‘Service à la Russe’ style, which means that instead serving all the food at once, it is served course-wise. Due to this strong emphasis to its culinary culture, many people have also fondly called the capital city of Kolkata as the Gastronomic Capital of India. The Bengali cuisine comprises of both vegetarian and non-vegetarian dishes, which are generally cooked with a unique blend of spices and seasoning. ‘Panch Phoron’ is a must spice mix for most of the vegetarian recipes. ‘Panch Phoron’ is basically an assortment of five spices namely, Cumin Seeds, Mustard, Aniseed, Fenugreek Seeds, and Black Cumin Seeds. The perfect blend of spicy yet sweet flavours is the secret recipe of a typical Bengali food’s specialty. There are two distinct tastes of Bengali food one can enjoy, one is a bit spicy by the ‘Bangals’ (people native to the then East Bengal, now called Bangladesh) and one is the sweet variant of food by the ‘Ghotis’(original residents of the present West Bengal). Traditionally Bengali food used to be cooked in Mustard Oil, which has changed over the centuries and white or olive oil has taken its place for their health benefits. Still certain authentic rich Bengali dish is cooked with mustard oil which adds to the flavour. Freshly grounded mustard paste, Posto (poppy seeds), Holud (turmeric), Ada (ginger), Radhuni (carum roxburghianum seeds), Methi (fenugreek) and Mouri (aniseed) are some of the mostly used spice mix for authentic Bengali food. The first thing which comes to ones mind while talking about Bengali food is ‘fish’. One cannot think of a complete course under this cuisine without fish which are generally fresh water (pond and River) produced. Rice and Fish are the staple food of West Bengal. Since the Bengal region never had locals and tribal who were huntsmen, rather most of the population had remained agrarian over the course of time. The geographical location of the region along with natural resources has helped hugely in agriculture. Thus large varieties of vegetables ranging from green to non-green and leafy ones have dominated Bengali cuisine. Variety of gourds like Bottle gourd, Bitter gourd, Pointed gourd, Ridge gourd, Snake gourd, tender stalks, various roots and tubes, purple eggplants or brinjals, green jackfruit, red onion, flat beans (Sheem), banana tree stem (thhor) and flower (mocha), cabbage, cauliflower, sweet potato, winter melon, pumpkin etc. are most of the commonly used vegetables in Bengali recipe. Some of the conventional vegetarian dishes one must try while in West Bengal are, ‘Alu Posto’, ‘Shukto’, ‘Labra’, ‘Badakophir Ghonto’, ‘Bati Chorchori’, ‘Alu Dom’, ‘Shabjir Chhyanchra’, ‘Mochar Ghonto’ and ‘Thor’. Different types of ‘Shak’ or leafy vegetable preparations and ‘Dal’ preparations are a must in everyday life. There are hundreds of other vegetarian dishes which are being mastered by the ladies of common household. Due to abundance of water in lakes, ponds and rivers, West Bengal is blessed with varieties of fresh and sweet water fishes. Rui (Rohu), Pabda (Pink Indian Butter Fish), Koi (Climbing Perch), Magur (Walking Catfish), Aar (Long-whiskered Catfish), Katla, Tengada, Shingi (Stinging Catfish), Parshe, Puti and many more are cooked in various traditional styles. There is probably hundred more fish variant savored by the Bengal food lovers. ‘Hisla or Ilish’ is probably the most expensive fish eaten and is considered as the icon of Bengal culture. Hisla fish can be found in the upstream of a river where it lays its eggs, but the best of the lot is present in the Padma river of Bangladesh. There are around 108 different Hisla preparations present in the Bengali cuisine. Bengal offers fish in different curry styles, steamed as well as fried ones. Almost the entire fish is consumed over here. Depending on the texture and fat content fishes are roasted and then cooked in ginger and tomato curry, freshly grounded mustard and chilli curry, curd and cream curry or khus khus curry. Steamed fish is a new recipe generally made in occasions. The fish is first de-boned and then wrapped in Plantain leaves and put on charcoal to steam. Hilsa, Bhetki, Aar are generally used for steam recipes. Two specialized platter one should taste are the ‘Kata Chorchori’, which is made with various leafy stalks, pumpkin, potato and fish bones and the other is ‘Muri Ghonto’, which is made with fish head, Potato and ‘Atop Chal’ or Jeera Rice. Prawns of various sizes namely, ‘Kucho’ (tiny shrimp), ‘Bagda’ (tiger prawns) or ‘Galda’ (Scampi) are commonly relished by the people of Bengal. The mouth watering Bengali style prawn or ‘Chingri’ recipes are made with malai, mustard paste or just ginger and tomato. ‘Chingri Macher Malaikari’, ‘Shorshe Bhapa Chingri’ and ‘Daab Chingri’ are the most popular dishes which are of world renown. Another popular Bengali recipe which is mostly eaten by the descendants of the East Bengal refugees, who came to India post 1947 Partition, is the ‘Shutki Mach’. This delicacy is made by drying up the fish especially ‘Loitta’ or the Bombay Duck and then made into a Bharta. Meat is also an important part of Bengal food, predominantly being Mutton or Goat meat. In Bengali it is referred to as ‘Khashi or Patha’. Bengalis traditionally do not consume beef and other variants. Many exquisite dishes are available with Mutton among which ‘Mutton Kasha', ‘Spicy Mutton Curry’ and ‘Kochi Pathar Jhol’ are the all time favourites. Sunday afternoons in a Bengali house is incomplete without any mutton preparation. Chicken has also gained popularity in Bengal due to its cheaper rate and low carb value. Pork and Beef are much less in demand in Bengal and almost no special Bengali recipes are available for this kind of meat. When it comes to a Bengali ‘Bhuri bhoj’ (eating to the fullest of stomach like a glutton), one just cannot get away without finishing with ‘Mishti Mukh’ (desserts). Sweets are an essential part of the Bengali cuisine and Bengal boasts of the variety of sweets they are to offer. Being an auspicious part of all social and religious ceremonies across religions, the sweets and confectionery industries of West Bengal always have managed a brisk business. Sweets like the Roshogolla, Sandesh and Mishti Doi are recognizable names for most Indians. However, the sweet palate of West Bengal extends much and further beyond the known names. Bengali sweets are largely made up of ‘Chhena’ (cottage cheese) in various forms. This starts from the soft and delicate ‘Sandesh’ and extends to the royal and glamorous variants like ‘Ras Malai’, ‘Pithe’, ‘Kheer Kadam’, ‘Shar-bhaja’, etc. It is not really an easy task to list all the variants of sweets available in West Bengal and unbelievably, all of them are distinctly different from each other in their make and flavour. This list is further reinforced by special variants of sweets that find their origins in the smaller towns in West Bengal. For example, the best “Mihi Dana” hails from Burdwan and has been granted a patent by the Government of West Bengal. This is also recognized as a heritage sweet of India. The “Moa” is such another sweet that is best produced in the town of Joynagar and is crucially helped by the special jaggery produced in this town. So is the story of “Langcha” from the town of Shaktigarh and “Shar Bhaja” originating from Krishnanagar. Thus, it is evident that the culture of sweets flows in the genesis of West Bengal and all the areas of this state has contributed immensely in coming up with their unique innovations. Bengali sweets are today acknowledged and feted in entire India and are also being exported internationally these days due to their demand. 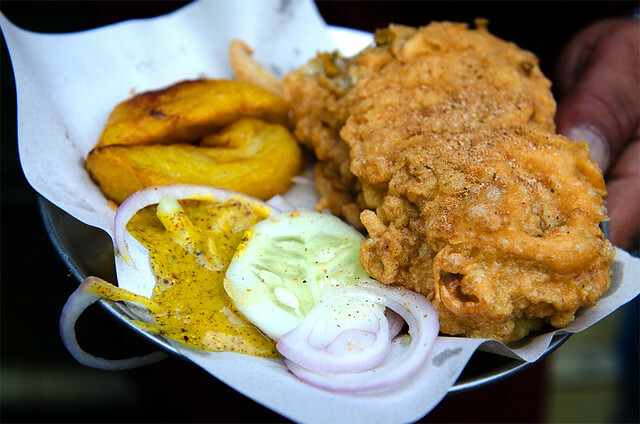 Along various parts of West Bengal and especially in Kolkata, there are thousands of street food joints who serve delectable yet cheap treats for the food lovers. From top MNC officials to general employees to daily wage earners, everyone loves to savour on the wide range of street foods which starts from simple butter toast to proper meal. The iconic street foods of Bengal are the ‘Jhal Muri’, ‘Phuchka’, ‘Ghoogni’, ‘Alu Kabli’, ‘Churmur’ and ‘Bhelpuri’. The Phuchka (Golgappa or Panipuri) served here is considered to be the yummiest among all the places in India. Other than this one can enjoy lip smacking dishes like ‘Luchi’ and ‘Cholar Dal’, which are traditional Bengali food. ‘Kolkata Roll’ is another popular Bengali snacks which are available in various fillings of chicken, mutton and egg wrapped, spiced up with onion, cucumber and chilli. It is a mouth watering treat for all ages. Tea cooked on charcoal stove is a specialty over this part of India and the smokey smell of the tea poured in a clay pot or ‘Bhaar’ can be refreshing. With the passage of time and West Bengal getting turned into a cosmopolitan state, one can find street food of various regions of India, especially the north-east. ‘Thukpa’, ‘Momo’, ‘Lapsing’ are some of the Tibetan delicacies found on the streets of West Bengal. Mongolian and Chinese foods are also available in the small gullies of Sudder Street, Park Street, Theatre Road and Chowringhee. ‘Wow Momo’ is a popular food chain of Bengal. If you are in Kolkata then an early morning visit to the ‘Terreti Bazar’ is a must, where a breakfast market is set up for authentic Chinese food lovers. The freshly cooked ‘Chinese Sausages’, ‘Steamed Baozi Buns’, ‘Fish Meat Ball Soup’ and ‘Fried Pork Momo’ will make breakfast a savoury experience. The Bengal region had seen many cultural dominance of the period of time which had got imbibed into the main tradition of the present day West Bengal. This has had its impact on the food of the region. A visit to West Bengal can give one the taste of Mughlai, Anglo Indian and Chinese cuisines with a hint of Bengal flavours. Biryani, Korma and Bhuna Masala curries were some of the Mughlai dishes very popular over here. The Biryani of Bengal is rated as the 2nd best one in India, after Hyderabadi Biryani. This is due to the presence of the exiled Nawabs like Wajid Ali Shah of Awadh and Tipu Sultan of Mysore. When they got banished to this region, they brought along with them the royal ‘Khansamas’, who came along with the best of the spices and recipes they used in the Darbars. This had carried down along the generations and had got locked with the Bengali food. The Portuguese, Dutch, Danish and British rules had brought in the confectionery business along with variety of delectable finger foods. The intake of ‘Pau Roti’ or Bread during breakfast is a daily routine in Bengali household. ‘Kobiraji’, ‘Cutlet’ ‘Fish Orly’ and ‘Chop’ are some of the finger foods served in the region. These snacks are so popular that they can be found even in marriage menu. Chinese cuisine in Bengal is also one of the most authentic as many Chinese settlers were present during the late 18th century in the south of Kolkata. The number of Chinese restaurants is the most in West Bengal among entire India and Bengalis have a fascination towards Chinese delicacies. It is evident that specialty cuisine has been a part of the genesis of West Bengal. Starting from the staple diet to the omnipresent dessert, the state has a unique and rich spectrum to offer to the gastronomically inclined enthusiasts.